Dimensions: 630mm long x 380mm wide x 380mm high. 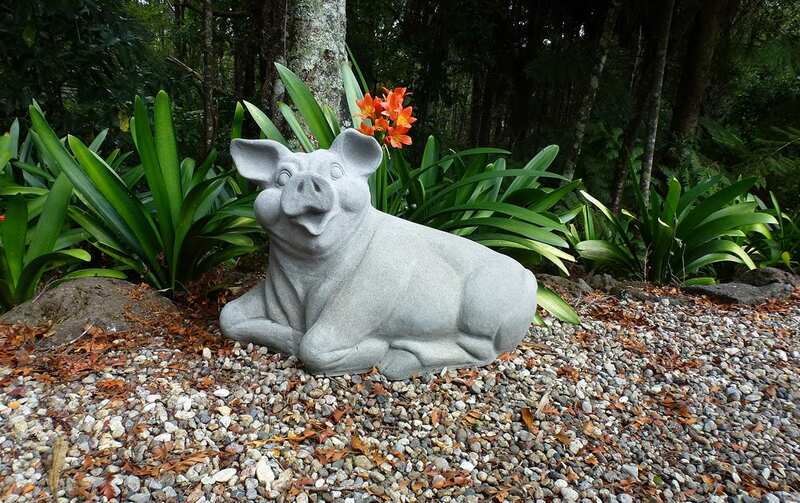 Delivery: We deliver anywhere in New Zealand – shipping cost on application, and depends on destination and number of concrete garden ornaments ordered. 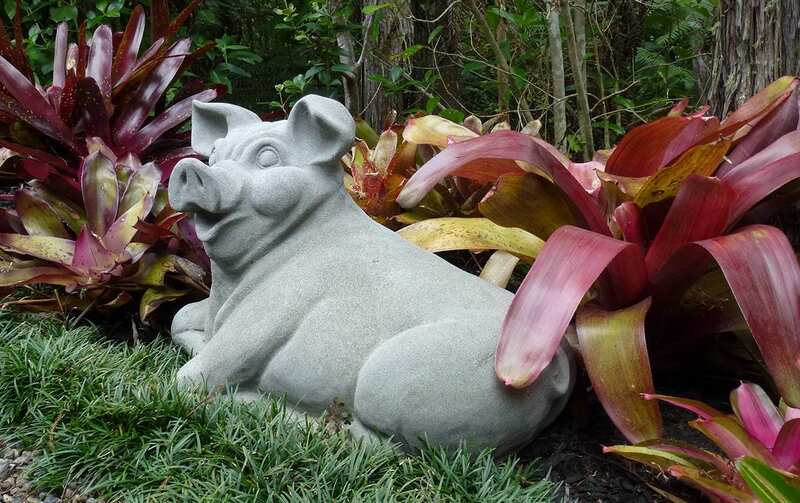 A quirky, relaxing pig made of cast-concrete will take pride of place in your garden, or wherever you want a spot of whimsy. 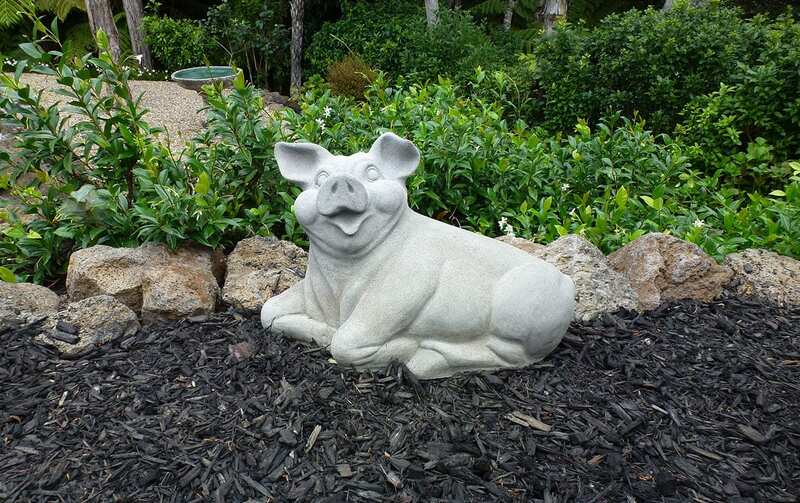 Suitable for gardens of any size. 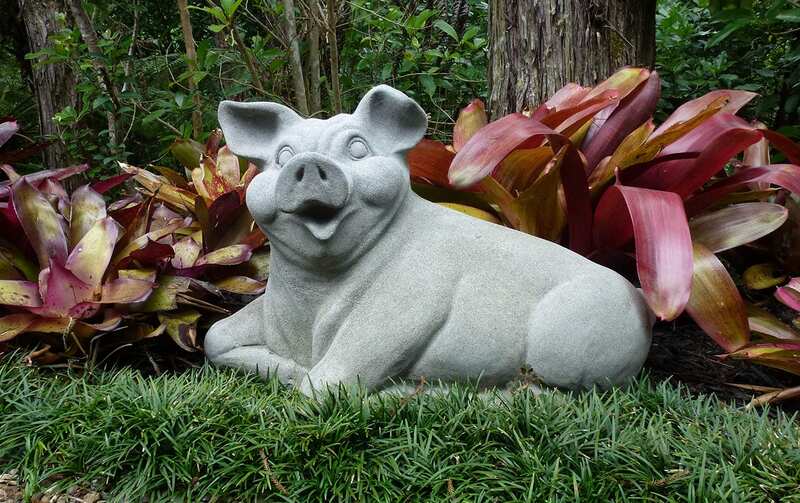 All our products are carefully handmade to the highest standard possible. 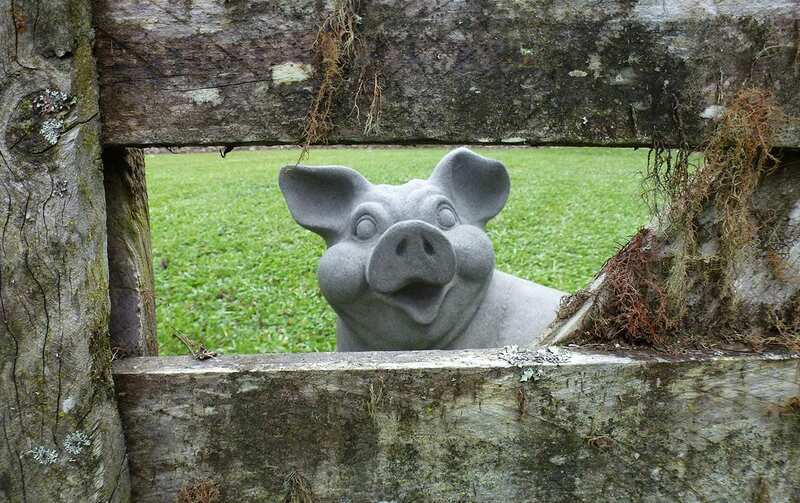 Being handmade means your garden sculpture may have natural blemishes or marks from the production process. 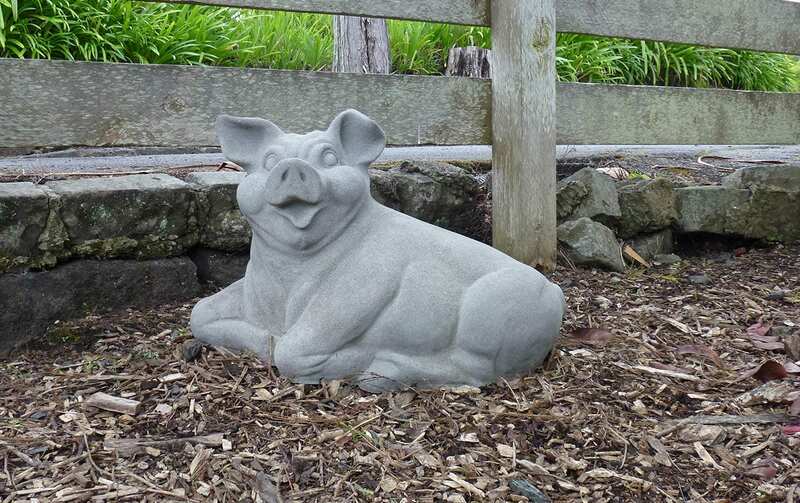 Forever Ewe outdoor sculptures are unique, truly Kiwi, and will last forever – that makes them a perfect gift for anyone, especially garden lovers.